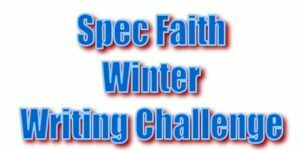 Here at Spec Faith we’ve had several successful writing challenges in 2012, so what better way to usher in the new year than by holding our winter challenge! 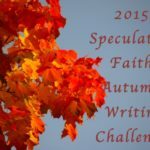 I’ll give a first line, and those who wish to accept the challenge will write what comes next–in 100 to 200 words, putting those in the comments section of this post. Readers will give thumbs up to the ones they like the most, and, if they wish, they may give a reply to the various entries, telling what particularly grabbed their attention. After the designated time, I’ll re-post the top three (based on the number of thumbs up they receive) and visitors will have a chance to vote on which they believe is the best. I’ll sweeten the pot this time, too, and offer a $25 gift card (from either Amazon or Barnes and Noble) to the entry that receives the most votes (as opposed to the most thumbs up). In the event of a tie, a drawing will be held between the top vote getters to determine the winner. If the reports were true, Galen had reached the right spot. You will have between now and midnight (Pacific time) next Monday to post your challenge entries in the comments section. You may reply to entries, giving thumbs up, this week and next. To have your thumb-up counted to determine the top three entries, it must be checked before Monday, January 14. Voting begins in two weeks. If the reports were true, Galen had reached the right spot. He turned in a slow circle, drinking it in, astonished to find it so…normal. For the last seven years of his life, ever since he’d gotten lost in the woods at thirteen, he had prepared himself, body and spirit for the day he would find the door. Naturally, everyone else had thought he was crazy. As he stood beneath the ancient trees in the silver light of early dawn, Galen started to wonder if he was crazy too. “Welcome, Galen Gavinson.” The voice seemed to come from the dense canopy right over his head, and Galen leaned back to stare into the still leaves. “Why have you come?” the voice continued, now coming from behind. Wheeling, Gavin almost missed the question as he searched for the speaker. “I…I have come…to die,” he managed to whisper. OK, I am totally hooked. Very intriguing from the start. You’ve given us enough about the character to begin to care. Well done. Thought it would be a hum-drum adventure until I hit the line “I . . I have come to die” – very cool, intriguing, I want more! 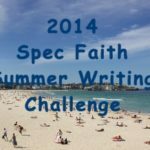 I really enjoy these challenges, particularly reading all the responses to your prompt! 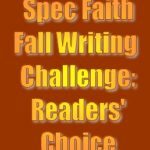 Thank you for giving writers this share-and-critique chance. If the reports were true, Galen had reached the right spot. He stepped out of the trees and scanned the glade, his heart thumping with the unknown ahead. A breeze stirred the tall grass and then died away. The clearing was empty. Galen pressed two fingers to his lips, thinking. If there was a maiden trapped by enchanted sleep, he would not turn from finding her; but if the rumor was false, he owed the truth to his village. He crossed the glade, watching for any clue: a trail, a footstep, a fallen flower. Nothing met his eye. He frowned for one moment; then he set his jaw and circled the glade, again keeping watch for any signs. He did not believe the rumor to be only a rumor. Never a rumor began without some source. If a lady was held in an enchanted sleep, it might be that enchantment also kept her hidden. The cruelty of such magic fired his blood. His second search yielded nothing. And Galen sat down to wait and see what the night would bring. If the reports were true, Galen had reached the right spot. It was a few furlongs from the castle wall, and there was a spring-fed pond. Why else would there be a bench at its bank and the flowers that lined its edge? They were not of the wild kind that littered the forest’s floor. No, they were planted. It had to be the place where the princess came for her early morning prayers, and the dew was as thick as blood this morning. As soon as Galen hid himself behind a mossy log the sound of singing came floating through the trees, mingling with the rising, sunlit mist. ‘It’s better to die happy and close to your god’, Galen thought as he notched an arrow in his bow’s string. He would make it fast. All the sooner he’d have the rest of the gold promised. “dew as thick as blood” felt a little clunky – not as much as foreshadowing as a distracting metaphor. I would read on, though, to find out what happens to the princess. Great twist. Not at all what I expected. If the reports were true, Galen had reached the right spot. If they were false, he’d likely never stumble upon a wronger spot at a wronger time. And, if that neurotoxin hadn’t yet cleared from his brain stem, their veracity wouldn’t make much difference either way. “Fitgers?” he whispered, blinking against the incessant drizzle and the blackness vignetting his vision, “Fitgers, where are you? I told you to keep this channel open!” His own voice warbled in his ears as if it’d bubbled up out of some viscous pool. With effort he lowered his head, remembering to breathe. The great black pit yawned patiently at his feet. “Can’t,” Galen warbled, “Shuttle’s gone.” He glanced up at the red smoke bleeding all over the green sky. Galen smacked his wristplate with the heel of his hand, silencing the acting captain. He’d never before thought of his aethercom power switch as a point of no return. No, he corrected himself, you passed that point two weeks ago. With a brief grimace and few rapid breaths, Galen launched himself out over the pit. Wow! I am hooked. I don’t usually go for science fiction, but these characters totally drew me into their story. I want to know what happens next! Austin, forgive me, but I’m 50 years old, so I have a lot of old episodes of different shows running around in my head, which I just can’t get past when reading your piece…. Even slapping the communicator closed was done, in the original Star Trek over and over again. Also Captain Kirk, after being in fight or almost knocked out was always going to save someone, and risking his life but always telling the ship to leave … again over and over again, Same in the next Generation, DS 9, Voyager, and yes the failed Enterprise, and I won’t even go into the movies… Anyway, you did have some interesting imagery, but because you placed it over a warn out transition within the military in Space genre, so for that I gave you a thumbs down for a lack of originality. BTW: I please don’t put a snark up with a wink , like you’re patting me on the head, because you “think” you know more than I do…. Please feel free to disagree with me but please don’t be condescending… Thank you. The curvature of the nave, like the generous thighs of a beautiful woman, towered above him. The panels between each wooden rib, painted with meticulous care in scarlet, green, and black against a backdrop of gold leaf mesmerized in their intricacy. Vines snaked from the tree of life weaving their way about the gowns of seraphs and coiling round the ankles of white-winged muses who played silent tunes on harps and pipes. The scent of sage, camphor, and sandalwood merged, forming a perfume that tempted men to abdicate exhaling. This had to be the rendezvous. The mighty ones gathered about the altar. Their brilliance alternately hypnotizing and blinding. Initially, Galen saw only a white glow but the longer he gazed, the more colors he discerned among the twelve. As if each angel emanated a unique luminous aura, one more dazzling then the next. Which was the angel of the Lord? How would he know? Galen withdrew into the crawlspace beneath the votive table as a pair of sandaled feet appeared, close enough to see the dirt beneath their toenails and to add a new odor to the air. A word painter of the first order, exceptional … I gave it a thumbs up! Hmmm…didn’t mean to go quite so gory. In advance: sorry for that. If the reports were true, Galen had reached the right spot. Through the small slit he made in his patient’s chest, his finger was flicking a heart. Hopefully. Not that it mattered so very much, given this morning’s failure to keep him alive. “I would like very much to have a look at this,” he whispered. No one was near enough to hear him speak, and no one was far enough to benefit from the hushed mutter. This person on the slab of expensive marble was not restored. He stood near the counter for an hour or so after this, his first patient, was lost. Whenever his hands neared his face, he jerked them away, disgusted by the clammy flesh they had touched. Galen squeezed his own fingers as his dead father’s counter chilled the corpse of this stranger. After the morning had passed, he approached with his blade. It was time to learn. It was time to open that window into the body. Wow! Cool take on this. I’m totally intrigued. Nice little hooking details throughout! As if on cue a small avalanche of rocks tumbled behind Galen. Galen whirled around. “Galen, get out! He’s here.” Carlile’s voice rose to a shrill scream. Galen didn’t need to ask who ‘he’ was. There was only one person who inspired such fear. Galen started to run, but he hadn’t gone more than a few feet before disgust at his own cowardice overtook him. “No more running.” Whipping his gun out, Galen placed his back to the wall. I could easily see this in a graphic novel form, like The Punisher , or even more sedate like the Hardy boys but even though this scene has been done before, you captured a original aspect to it, creating a interest and suspense… Well done I gave it a thumbs up! If the reports were true, Galen had reached the right spot. He had learned long ago that a well paid peasant was a much better source than any military scout. He had paid dearly for the information, but if it proved correct, the money would be well spent. He strode through the dirty streets, ignoring the dark looks from the merchants who watched him. This place was known for its hostility to strangers. Why would she come here? Hadn’t he told her to wait for him? Raised voices ahead broke over him like a wave. No longer caring who was watching, Galen broke into a run. Before him a crowd filled the square, a seething mass of humanity. Rage radiated outward from the center. Some stood with fists stretched toward the sky. Shouts of “Sorceress!” echoed off the stones and wrenched the air from his lungs like a blow to the chest. Galen shot forward, pushing his way through the crowd. Anger built inside him, as did desperation. The mass shifted. Galen stumbled, and people parted before him. He landed on his knees, face to face with the woman he sought. “You came,” she whispered. As always, Becky, thank you for the challenge. If the reports were true, Galen had come to the right spot. Ten paces away, the Washerwoman loomed into the fierce blue sky, yellow with sunlight; right at hand, he saw the marks on the rough canyon wall. Galen knelt down. Black lines crossed and joined each other in figures as vaguely human as the Washerwoman. Faded and faint they were, beaten by sun and wind. Yet they must have been bold once, to decorate the lifeless desert three thousand years. He covered the worn drawings with one hand and pressed the other on the rock, just above where it met the earth. And, his mind humming with the old legends, he pushed. The rock gave way, his hand plunged into cool emptiness, and he stared down into a black shaft. His blood ran hotter and faster through his veins. Odds and sense were both against the people who claimed they saw human shadows on the high clefts, or heard voices raised in ancient song among the rock formations, but he didn’t care. The wind rose, sweeping through the canyon, and scattered pieces of old stories, of before the ruin and the separation. Galen forced onto himself the coolness that had saved his skin more than once, and crawled into the shaft. He stuffed his cold hands in his grubby windbreaker’s pockets and stared at the brick wall. The City’s short-lived gangs had covered it in layers of red, yellow and orange graffiti. Beyond the wall was a textile factory’s loading bay. Yet the strange woman had told him to look here. A scrap of paper crinkled in his pocket, and Galen pulled it out. A single word–Escape. He squinted at the wall in the rapidly failing light. There it was. Escape, written in red across a yellow and orange spot. Galen flinched and ran his fingers along the letters. They glowed under his touch. E. S. C.
Five burly men stomped down the alley toward him, swinging clubs. Galen’s whole body went cold. His fingers followed the next letters. A. P.
Rough hands grabbed his arms as he traced the E.
The letters melted together and swirled open in a portal. On the other side were trees and green grass– long extinct in the City. 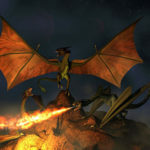 Galen tore free of his stunned attackers, leaped through, and ran for his life. Sorry about the formatting, but it won’t let me edit it. Indeed. It’s crazy difficult to say anything compelling in only 200 words without leaving the impression that another 2,000 would be necessary to finish the thought. If the reports were true, Galen had reached the right spot. 2018. Winter Olympics. Westfield Investments. His finger paused an inch above the play button. Then descended sharply. He remembered this one. That was the year he’d gotten that really bad flu and missed work for like 6 or 7 days. He’d rolled his eyes each time it had come on, muttering parodies of the advertizer under his breath. Now he couldn’t take his eyes off the screen. It was in here somewhere. He punched the pause button. Bottom left corner. He wiped sweat from his forehead as he jotted down the ten digit number on his hand and rose. They were probably in the building already. His hurried footsteps echoed on the marble floor of the Repository. One more glance behind and he reached the back stairwell. Call! He pushed the door closed behind him, breathed, and pulled his phone from his pocket. He was taking the steps two at a time now. Today, a bad flu didn’t seem so bad. He put the phone to his ear. I don’t have a clue what’s going on, but it’s an opening-scene-to-a-Chris-Nolan-movie kind of clueless, so I love it. Thanks. As you well know, we write “the hero” very differently. If the reports were true, Galen had reached the right spot. He slid his pistol from under his jacket and stepped to one side of the rusted metal door. The movement placed him protectively in front of Kariana. He nodded to her, and heard the soft beep as she pressed the door button. Gears clanked and whined. The door slid up mere inches before it ground to a stop. Unmaintained motors hummed in frustration, then reluctantly silenced. Galen crouched and looked under the door into the long-abandoned flight deck beyond. No obvious threats. Still he hesitated a long moment before slowly handing the pistol to his sister. Kariana’s cold trembling fingers brushed his as she timidly clutched the weapon. Galen pushed the switch, then knelt by the door and fought to wrench it upward. Under this force, the door scraped open another half foot before the gears crunched and froze. The opening was enough. He took the pistol back, pulled his lightrod from his belt, and ducked through. Kariana followed, clinging to his shadow. He scanned the darkened chamber with his light, bodily shielding Kariana from any threats lurking in the shadows. All he saw were twisted heaps of metal filling the deserted hangar they had sought; exactly what he’d heard. Maybe I’m just being grouchy right now but the characterization of the sister in this annoys me. Like she’s only there to make Galen seem more courageous or heroic. Otherwise the plot/setting/general writing feel here would have resulted in a thumbs up. If she’s that much younger then why would he let her hold the pistol? It may turn out that a burgeoning appreciation of Kariana’s strengths constitutes a key trajectory in Galen’s subsequent character arc (if he, in fact, turns out to be an interesting character). But for now, all we get is a snapshot, an instant nearly frozen in time. And that instant rings true to me, a reader, because Galen sees himself as a courageous hero, whether or not his self-perception is justified. That, at least, feels real to me. Insightful analysis, and all very true points. The problem is that, as you said, “all we get is a snapshot”. Within the larger context of the story, I might not mind Galen’s perception of Kariana. I might not even mind if she actually is a character who is mostly portrayed as needing protection (particularly if there is a resulting growth arc for either/both characters). It doesn’t matter if she’s mostly useless in tense situations if she seems real to me. But there isn’t a chance within the small portion of text for me to connect with either character enough to offset the apparent helpless female stereotype. Obviously this is just personal taste. And if this was an actual book, I would have read more than just the first couple hundred words (especially since PaulC’s writing is a comfortable read). But if by the end of the first page or so, Kariana still appeared to me as a stand-in stereotype, I would put the book down and walk away. It’s a reading peeve, you know? I understand, and I certainly have reading peeves of my own, some of which have undoubtedly prevented my enjoyment of otherwise good stories. Passive characters tend to attract my disgust, as well. It’s interesting how quickly we as readers are able to make judgements. I think this particular writing contest is more about marketing than anything else. There’s simply no time in 200 words to sneak up on empathy or burrow into emotion; instead it becomes a smash-and-grab operation with barely enough time allotted to jab more than a few critical pressure-points before the curtain comes crashing back down. But that in itself is an art-form. To my mind, Page One Writing is just as tricky – and just as crucial – as film trailer editing. Interesting discussion. 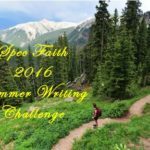 Actually 200 words is almost the first page–probably is in the book format. A manuscript page is typically tabulated as 250 words. I think what you’ve identified here, Leanna, is a reader’s response to opening with action. Do we know enough about the characters to care? For you, the answer is no because the female character appeared to be the stereotypical in-need-of-rescue girl. Without knowing more of their relationship, you weren’t grabbed. Others who might have been pulled into the hero’s bravery and clear desire to protect, the answer might have been yes. What if the story had started in a different place, though, allowing readers to see the characters before they stepped into whatever pressure cooker they find themselves? That might capture a wider range of readers. Rebecca, I do think there’s a good chance I’d be hooked into PaulC’s story if it started at a different place. But it isn’t necessarily about opening a story in the middle of action. Austin’s opening is in the middle of the action and I’m sold on it. Thanks, Leanna. I think the difference you’re pointing out between the action in my and PaulC’s entries is the difference between surprise and suspense. Personally, I much prefer to build suspense in my writing, but, since that was pretty much impossible in the space allotted for this contest, I chose to cram my entry with layer upon layer of surprise conflict (the protagonist is infected with neurotoxin, he’s stranded on an alien world, he’s risking hundreds of lives, he’s deposed by a subordinate, he leaps into a mysterious pit, etc.). PaulC, on the other hand, didn’t even bother to specify a source of antagonism. Instead of launching a shock-and-awe assault with plot elements, he chose to construct a mood. Granted, that may not have been the most effective approach to a Page One writing contest, but I could already feel the suspense taking hold after only 200 words. I still felt like anything could happen to Galen and Kariana even after they’d safely entered the deserted hanger. No sigh of relief escaped my lips at that point, because I was still peering warily into the shadows. It may not have been as flashy as other entries, but I think it was certainly effective at achieving its psychological goals (if one felt a connection to its characters, that is). This was feeling like a ‘Bourne’ movie…until I readether word ‘lightrod’. 🙂 Nice job! Then they were royally screwed. All three of them. The feral dogs broke into the clearing, barking and baying–teeth bared–a slavering mob. No choice. Clutching the babies–one under each arm, like footballs–Galen stepped onto the grassy knoll. The dogs barreled toward him. A dark pack. All fur and fangs. A small but oh-so-frantic voice in his mind screamed, “Run!” But he stood, staring, unable to move. He could never outrun the pack. Either he was on the Nether Knoll or he was dead–and the babies with him. The leaders of the pack shot past, the mob parting and washing around the knoll like a black tide. Gods be praised! It was true! Some thirty feet past, the dogs pulled up, whining. They mulled around. Backtracked. One black beast with a scar across his snout, circled the knoll, sniffing. Laney, with her sense of impeccable timing, chose just that moment to stretch and coo. Then, giving a low growl, it put one paw on the knoll. ha ha I was trying to be incognito and my picture shows up. Good thing I’m not a spy or something. And, doggone this silly comment window that won’t put in spaces as it should. Schnookums, hit shift/return to create a single space between paragraphs. 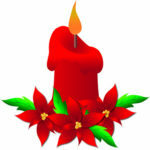 As to your picture, that may come up if you have a Gravatar account or one of those other global accounts. But perhaps a bogus email address would work. I guess I should have entered a false email address. Is that it? I don’t know why, but it’s not letting me submit mine… Any suggestions? Rachel, at least one of yours ended up in the spam folder. I think when you copy and paste, it included code for the font and style which our spam program read as filter worthy. Sorry about that. I’m glad you stuck with it and got your entry in. Thanks Becky! I’m glad I got it through as well. I’ll be posting in IE from now on, lol. Somehow this tiny museum in Cairo held the Eternal Guardian’s black cloak. Pffttt. Eternal Guardian indeed. Where’s the “eternal” Guardian now? Gone. Dead. Just a legend. But the cloak was no legend. If only Galen could only get at it… maybe he could save Xeran. He could just… reverse the whole thing. That’s how it worked, right? Galen bit his lip. Shallow breaths. Twitching fingers. He shut his eyes tight. Fire flashes and the violent winds entered his mind. His cousin’s battle cries. His sister’s screams for help. His father’s head, one eye missing, rolling down the path beside him. Just as fresh as it was ten years ago. Galen’s eye’s flashed open. Did someone speak? “Right.” Galen left without question. That night. That was the key. Ten years of training to the test. He ran rooftop to rooftop. Blaring sirens and scattered bullets chased him. Think of Xeran. Gotta move faster. Gotta save them all. Then all at once, the black cloak in his hands turned pure white. A plugin to let users edit their own comments had been malfunctioning, thanks to a WordPress software update. Unfortunately said comment’s programmer(s) has not released an update to prevent the code from misfiring and generating an error message, even if you didn’t edit a comment. We’ll let you know if/when it’s restored! If the reports were true, Galen had reached the right spot. He glanced around at the crowd pushing past him in their dark suits and pristine dresses. Time was running out but he couldn’t do anything now. He glanced at the mark in the brick wall and grunted. He would have to wait until there were fewer people. Someone might inadvertently cross over first and he couldn’t risk having to wait another day. He wasn’t certain another day would even come if what the reports said were even half correct. How was it possible that one small key could control the fate of the whole world? Galen fingered the key in his pocket as he leaned against the wall to wait. To his shock, the wall engulfed him as he fell backward and the bright midday sky was replaced by black billowing clouds. Even more shocking was the high pitched squeal as the dress that had been passing by at that moment landed on top of him. Her heavy flower perfume smothered him. Galen grabbed the skirt by her shoulders as he rolled and glanced around at the muddy vacant ground and wide open views of rolling plains. Fine mess this was. If reports were true, Galen had come to the right place. He thought of his two young sisters – Melody and Meggy. They would be old enough to miss him . . . He shook his head. They would forget. Even his mother . . . Could a mother truly forget the son she bore? Her heart, if not her mind, must remember him . . . And his brother. Gabriel had been his twin, the elder by only a few minutes. But Galen had always respected his brother, had believed in him. Even after Gabriel disappeared into the forest. Galen knew his brother had lived. Even at fifteen, Gabriel had been wise. Five years later, Galen was only just beginning to understand what his brother might have guessed. He was the only one who could remember the fifteen years of his brother’s life. The memories were foggy, incomplete . . . but they were there. Unlike his mother’s. Unlike everyone else in there small village. Had their father remembered? Was that what had killed him the same year Gabriel left? Which was why he’d come here, to this abandoned cottage tucked deep into the forest – the same forest that had taken his brother. The same forest that had taken their memories. Thanks to everyone for the opportunity to participate in challenges like these! I really appreciate it! If the reports were true, Galen had reached the right spot. After all no spot, on any other world, in any other time, or life times had resulted in more than a few minutes more with his wife and child. A Plague had or would take them in the year 551, in Suffolk, in England, Earth. As a time sailor, “there is never enough time”… Galen thought to himself with a sigh, he stood on the point, where the strongest of tides and winds let the sailors cross into the tidal pools, and enter the currents of time. He felt a gust of the trade winds, pulling him in as promised, as he walked towards center Galen faded away, the winds of light grabbed him, and bucked as he guided, himself through chosen course based on the charts given him. Though at some point he would have to use that which all the Time sailors do, the pull as they call it, a point they set in their minds, as the end. That point in this case was his wife’s lovely face, and the village they lived in, and like his wife, was unequaled. He would be there soon, on this fast and dangerous current, which usually meant a more changeable current. He glanced back hastily—the narrow gorge behind him was still empty. The path ahead ended in a clear glow of sunlight, but Galen was still too far back to see. He inched forward, as far as he dared, before dropping onto his hands and knees. The gravel cut into his hands, but he crept forward to the edge of the cliff and peered over. Then he caught his breath. Galen knew now why they were called the Sunset Woods. The trees below him shimmered with the ripple of gold on water. The glow of light came from the trees, and not from the gray sunlight above him. He could not see the path through the trees—actually, he couldn’t any break in the trees as far as he looked—but if he were lucky, he would find help there. Now all he had to do was find a way down. “But of course they weren’t.” He whistled through his teeth, through the gap made by kids with too much time and spite. There were plenty of them in the Underground. When jobs were scarce and being idle criminal, every lazy lowlife had their secret way out of the Polis. Only his new exit had turned out to be a moldy brick wall at the end of an alley that wasn’t nearly as dark as he’d like. He slammed a fist against the wall. Stupid. All it did was scatter dust over his worn clothes and raise a fresh bruise on his knuckles. He cursed loudly. Stealth was pointless. The guards had found him. He did as directed, refusing to look the cybots in their blue laser eyes. A ragged, harried peasant with only a number for a name scrounges for a hidden path at the nadir of some dank back-alley. He’s grubby, crass, and desperate. He must flee because … the Empire needs him. To build things. Such an awesome head fake. Here’s my last minute entry. I noticed there are already LOTS of great story beginnings . If the reports were true, Galen had reached the right spot. He glanced down at his chronoguage, then tapped the display with his index finger in frustration. A green LED pulsed a steady rhythm, illuminating the chrongauge faceplate and his jumpsuit’s silver sleeve. “If this is it, where is my contact?”, Galen yelled. A cold wind howled in answer, stirring up little dust devils in the sandy desert floor. Galen folded his collar higher around his neck, and shoved both hands into his pockets. He stamped numb feet,turning in a slow circle. Moonlight lit the sands a harsh white, and cactus shadows wrote long, capital letters in black. The wind stopped; replaced by total silence. The sound of small rocks and sand crunching beneath shoes drew near. Galen turned to watch a figure approach and stop a few feet away. “Oh, you’re here already? Has it already begun, then?”, the figure said. Great use of dialogue to create the scene! I liked all of the entries. Yet, I liked this one the best. Your writing captured my attention right from the start and I wanted to know what happened next for sure! Vivid descriptions (shadows wrote long, capital letters in black) brought this scene to life. That closing line: Shivers! Love it! 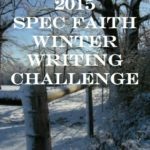 With Tim’s submission, the entries to the Spec Faith Winter Writing Challenge are closed. What a great group we have to choose from!